According to the 2005 Beit Hatfutsot Law, Beit Hatfutsot has the status of National Center for Jewish Communities in Israel and around the world. The directing institutions of Beit Hatfutsot are: The General Assembly – meeting of shareholders of the organization; Board of Governors – the senior representative and policy formulating body; and the Board of Directors – the management body. 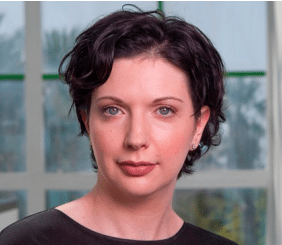 Irina Nevzlin serves as Chair of the Board of Directors of The Museum of the Jewish People at Beit Hatfutsot, and President of the Nadav Foundation. She is currently leading an extensive renewal project to recreate Beit Hatfutsot as a unique global cultural center for the Jewish People, due to open in 2018. A native of Israel, Isaac Herzog serves as Chairman of the Executive of the Jewish Agency. An attorney by profession, Herzog held several Knesset and ministerial posts, among them are Chairman of the Labor Party and later of the Zionist Union, Israel’s largest central-left political party, which he founded. Herzog Joined the museum’s Board of Directors in 2018. Hadas Lahav formerly served as Deputy-Editor of Yedioth Ahronoth, as well as in several senior positions in the news desk, and in YNET. Hadas is a graduate of the MAOZ fellowship program, and has a Master’s degree in Law from the Bar Ilan University. She joined the museum’s Board of Directors in 2018. Prof. Ziv Reich serves as the Dean of Insurance School at the Netanya Academic College, as a member of the Antitrust Tribunal in the Jerusalem District Court and as Chair of the Investment Committee at Shlomo Insurance Company. In the past he served as Chair of the Financial Reports Committee in the Israel Electric Corporation and as Chair of the Tariff Committee of the Israel Postal Company and Postal Bank. In addition, he served as President of the Institute of Internal Auditors in Israel. Prof. Reich joined the Board of Directors in 2018. A native of Poland, Dr. Ruth Shamir Popkin is a practicing attorney and holds a PHD in Cultural Studies. Her family established The Grunstein-Shamir Foundation for the documentation of Jewish life in Poland, at Beit Hatfutsot. Dr. Shamir Popkin has been active in the museum for over 30 years, and received the “Yakirat Beit Hatfutsot” Award in 2008. She is a member of the museum’s Board of Governors and has been a member of the Board of Directors of the Museum of the Jewish People since 2008.